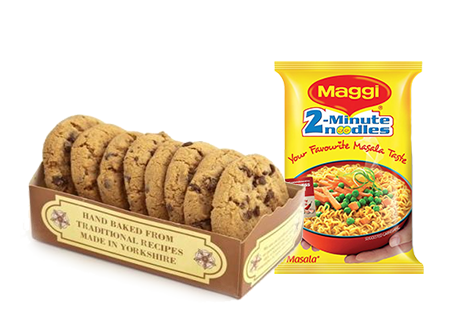 Meeting crucial packaging needs for products like Biscuits, Cakes, chocolates, cookies, Noodles, and Maggi, our JAT-309 holds them all in versatile pillow packets. It is a single phase, Horizontal Flow Wrap, and pillow pack machine which runs on 2 Horsepower gear motor. Consuming 3 kilowatts electrical power, it is highly functional in producing 80 pouches in a minute. It contains 8 feet long conveyor belt and uses manual feeding mechanism. It can pack the items in Tray as well as Pillow form. Therefore, one can also utilize it as a cake packaging machine for housing the pieces of cake in a tray form. A machine needs to be watchful for packing Biscuits, Cakes, chocolates, cookies, and other fragile food items. Without causing any damage, the whole packaging process requires being gentle and quick at the same time. 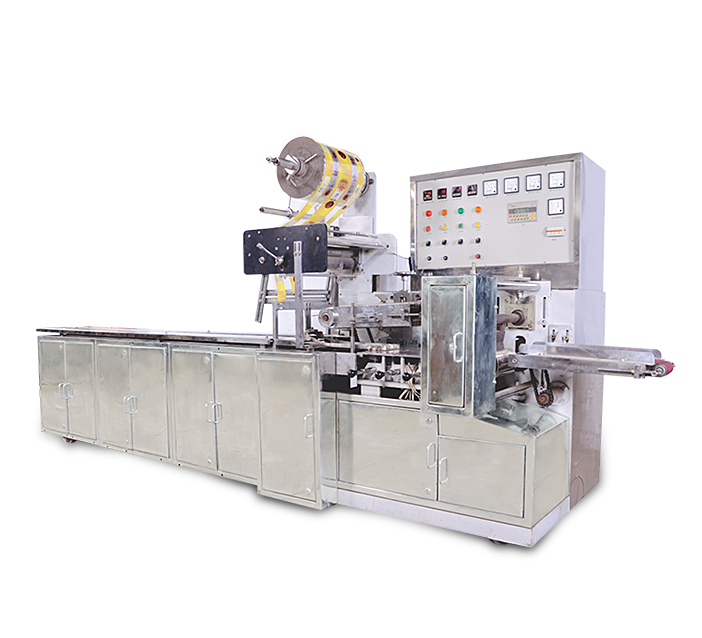 Our machine can be easily used as a biscuit/cookie packaging machine which wraps the products using central sealing mechanism. The safety of the products is maintained throughout the packaging process. Therefore, it can also be used as a Noodle/Maggi packing machine for packing Maggi, Noodles, Spaghetti, Macaroni, and Pasta. Our machinery is so versatile that it serves multiple purposes of packaging. Furthermore, its handling is easy with little maintenance.